Located at 895 Rue de la Gauchetière Ouest, Montreal Central Station is heritage building that pays tribute to Montreal’s vibrant past and present. Adjacent to the renowned Fairmont Queen Elizabeth Hotel, this downtown train station is now a huge complex managed by Cominar. Discover Central Station's amazing art! As a heritage building, Montreal Central Station is not only brimming with history and architectural details but also with several works of art, including murals, medallions, paintings, and high and low reliefs. Here is a video that showcases some of the works you will enjoy as you walk aroudn Montreal Central Station. Start exploring today! Inaugurated in 1943, Montreal Central Station is a focal point in the history of Montreal. 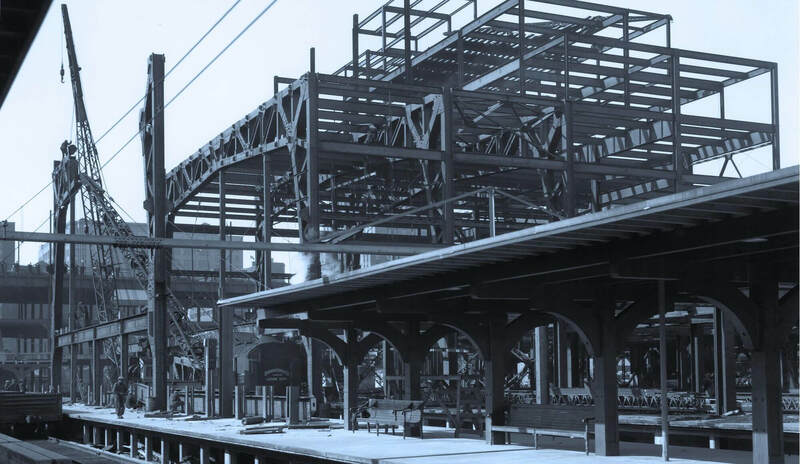 And the station’s long-lasting heritage started the moment construction began. In 1899, Sir William MacKenzie and Donald Mann founded Canadian Northern Railway. This trans-Canadian railway, a competitor of Canadian Pacific (CP), wanted to firmly establish itself in the province of Quebec with a station in Montreal. 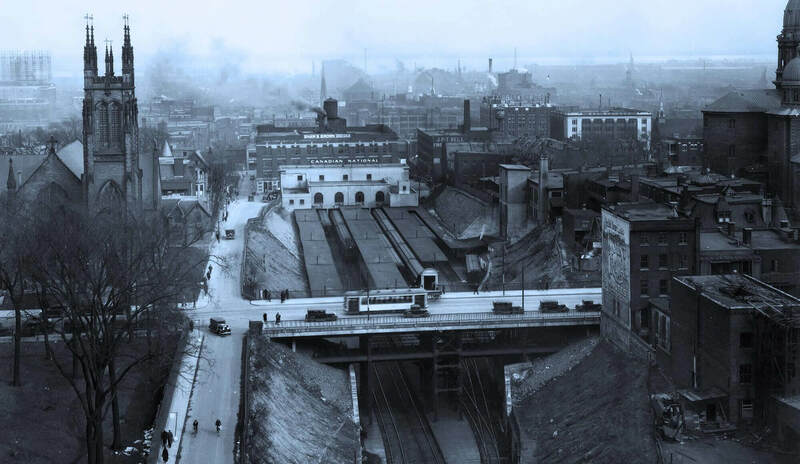 The company announced, at the turn of the century, that it planned to dig a 5-km tunnel under Mount Royal and build a mainline towards downtown Montreal, where a electric station was to be built. At the time, the project also included a hotel. Construction of the tunnel began in 1913 and was completed three years later. However, due to Canadian Northern Railway’s financial troubles, the railway project was halted. Only a temporary train station was finally built. In 1918, Canadian Northern Railway was nationalized by the Canadian federal government and became, in 1923, Canadian National (or more popularly known as CN). The federal government also decided to continue and expand the project that was originally initiated by Canadian Northern Railway. 1929 to 1933: Let the construction begin! In 1929, the stock market crash and Great Depression caused a major slowdown in the project. Nevertheless, CN built 4 main lines and a small passenger train station along Rue De La Gauchetière Ouest in the neighbourhood of Ville-Marie. In 1931, the Gothic Revival churches of St. Andrew and St. Paul, located on Rue Dorchester, were taken down in order to make room for a new train station. The churches’ were transported and rebuilt near Collège Saint-Laurent. With the end of the Great Depression, construction picked up at a very fast pace. 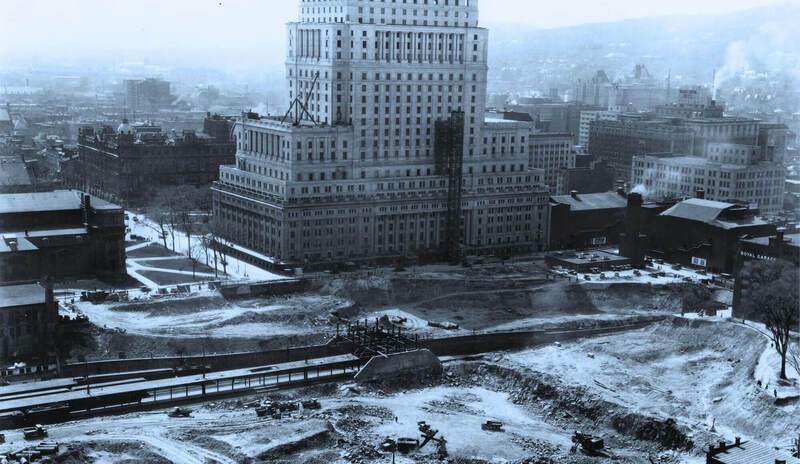 In 1939, the CN dug a massive construction site to install main lines at level 69 and sub-level 53. The Halles de la Gare (level 90) and the station’s administrative offices were added in 1941. The construction work was completed in 1943 and, soon after, the train station was inaugurated. In the 1950s, CN decided to expand the complex even further with a hotel. The company’s president at the time, Donald Gordan, approved architect George Drummond’s plans in 1953 and work on the hotel commenced in 1954. 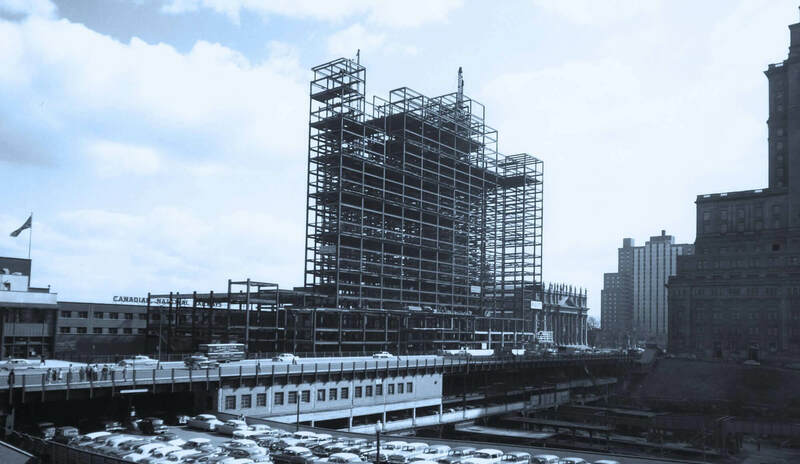 Despite lots of resistance from local authorities, including Montreal mayor, Jean Drapeau, Mr. Gordon decided to name the it the Queen Elizabeth Hotel in honour of Queen Elizabeth, who was coronated in 1952. Once the work was finished in 1958, the Queen Elizabeth Hotel was inaugurated with much pomp and circumstance. In the 1960’s, Montreal experience unprecedented urban development. The city literally transformed itself into a major North American metropolis. 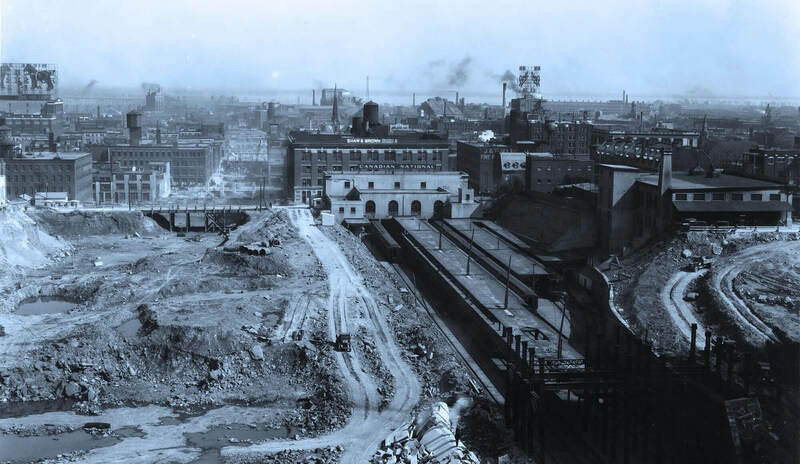 Thanks to the construction of many buildings and public spaces around the train station, Montreal Central Station became truly located in the heart of downtown Montreal. CN’s headquarters were built and finalized in 1961. 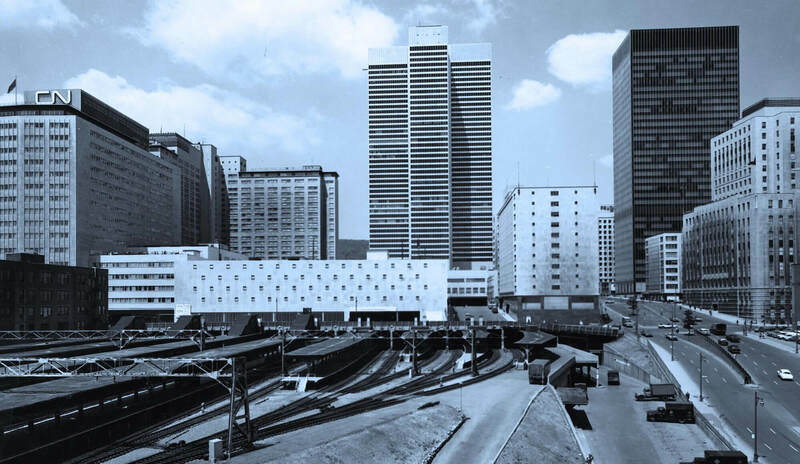 Place Ville-Marie and the Tour du Terminal were also constructed and inaugurated in 1962 and 1968, respectively. Montreal’s subway, the Metro, was inaugurated in 1966. This period kicks off Montreal’s life underground. Over the next decades, Montreal Central Station continued to evolve in tandem with the city. In the 1980s, Halles de la Gare was built, making the train station a vast complex where people could travel, shop and dine. With over 50 stores and restaurants the complex has become a go-to destination for visitors, travellers and nearby workers. 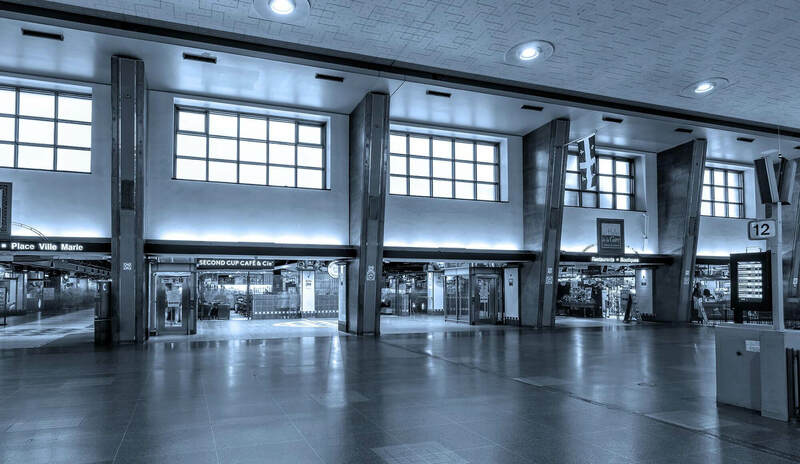 Since March 2012, Montreal Central Station is operated by Cominar Real Estate Investment Trust. 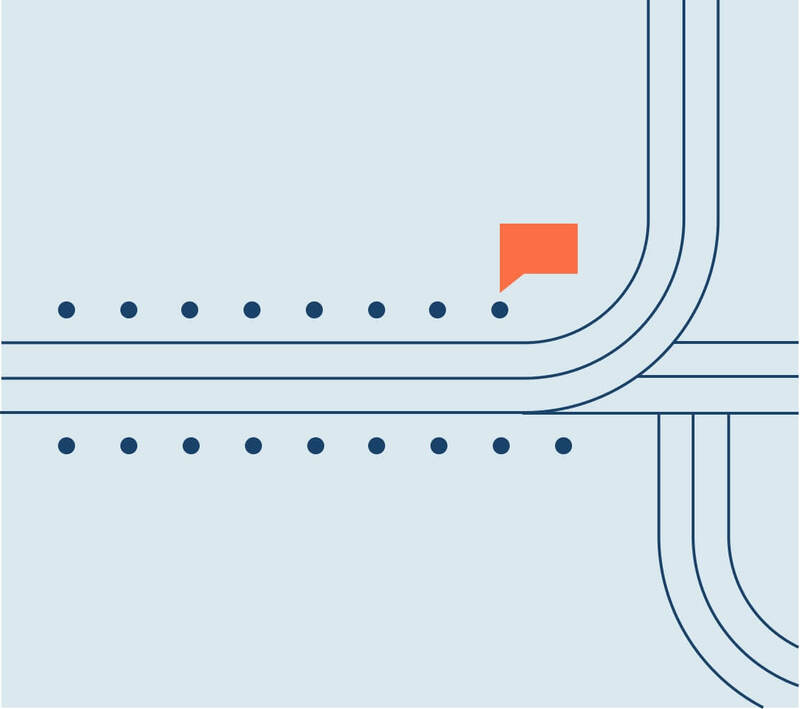 Cominar is the second largest diversified real estate investment trust in Canada and currently remains the largest commercial property owner in Quebec. Cominar’s portfolio totals more than 40 million square feet located in Quebec, Montreal, Ontario, the Atlantic provinces and Western Canada.